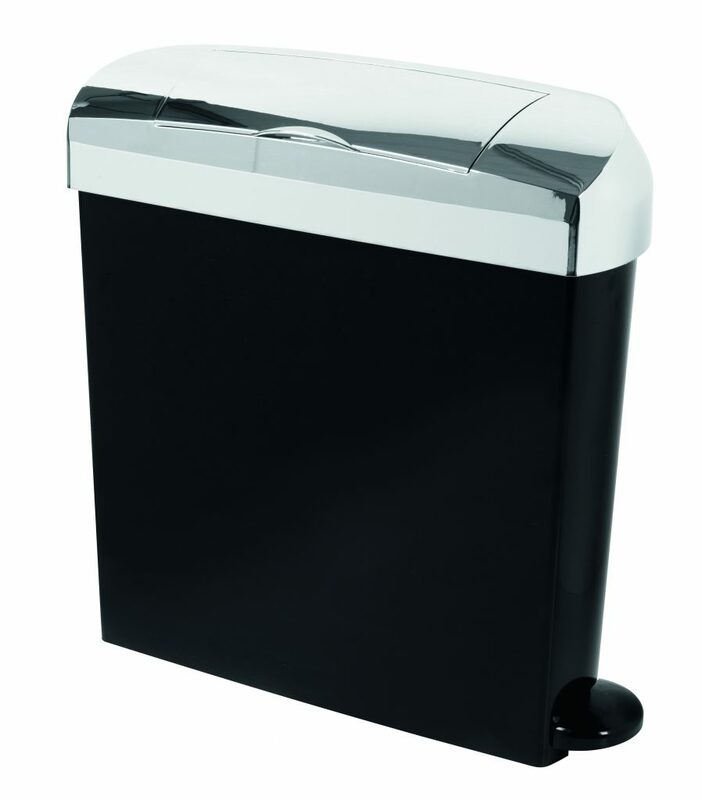 Choice of automatic [Magic eye] or hands free, pedal operated unit, delivers the highest standards of hygiene. 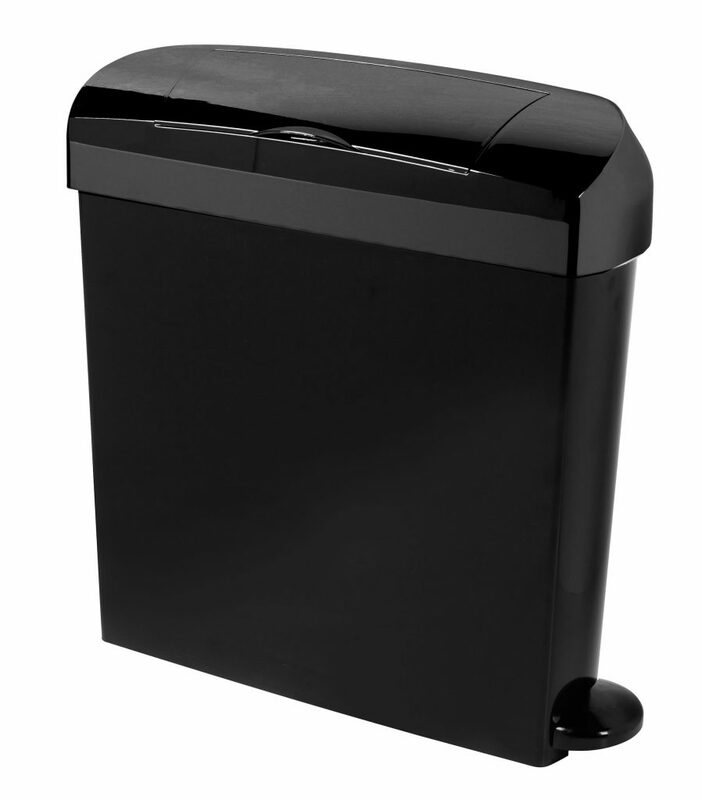 Simply Washrooms is a licensed waste carrier. 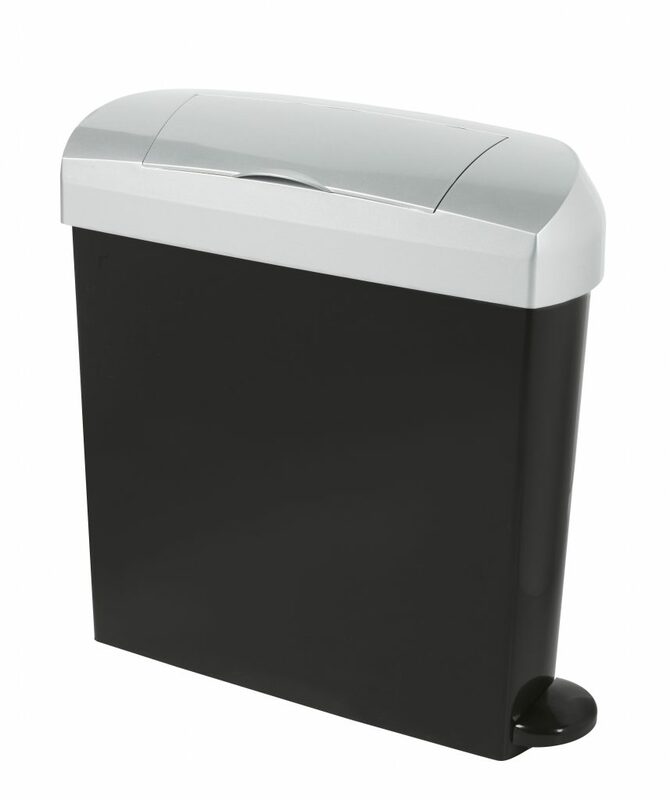 All waste is incinerated in line with the Environmental Agency best practice. 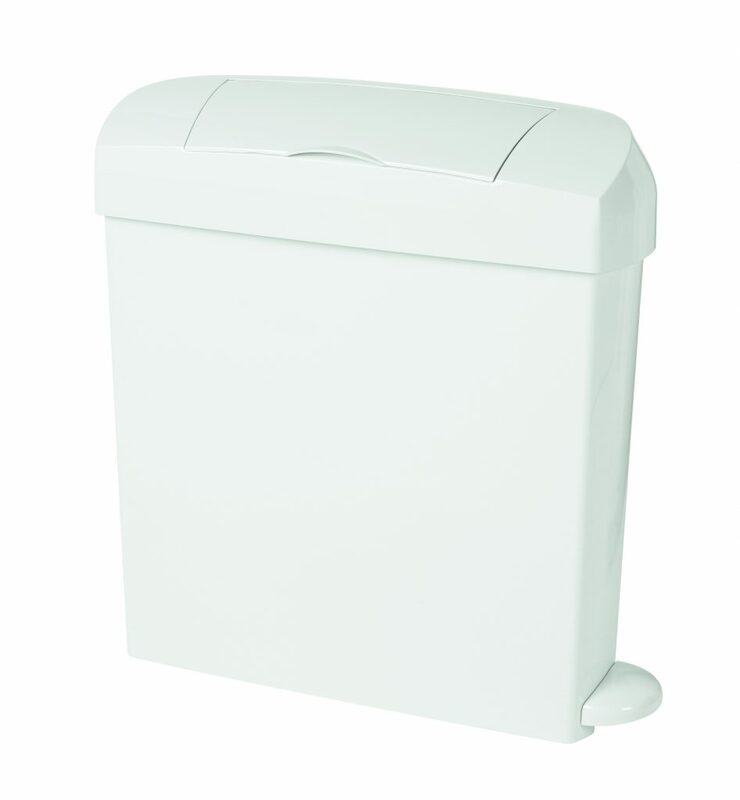 All Simply Washrooms feminine hygiene units now come with Simply Silver™ antimicrobial liners as standard. 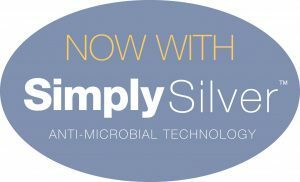 Utilising silver ion technology the liners offer around the clock bacteria protection. 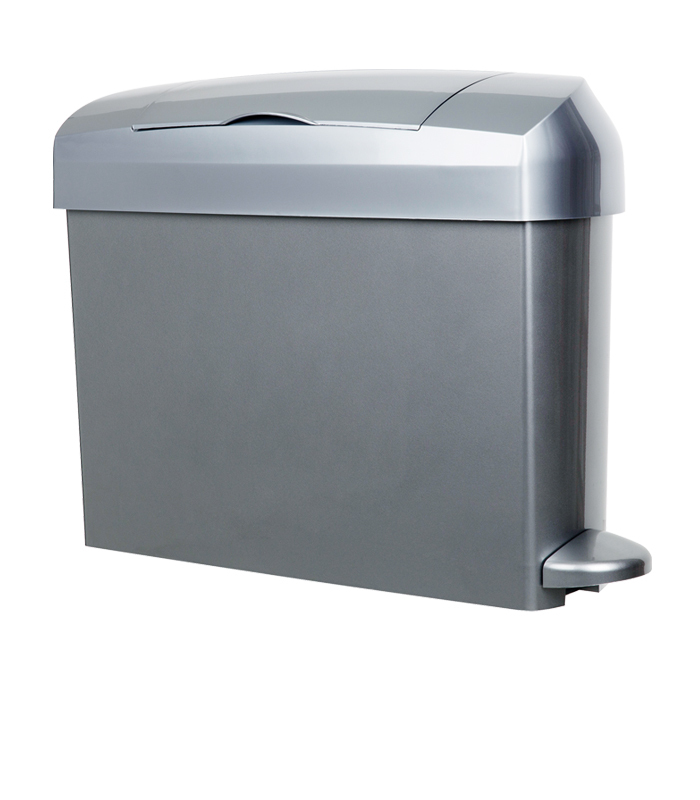 With integrated odour eliminating technology Simply Silver™ antimicrobial liners promote clean and hygienic washrooms. 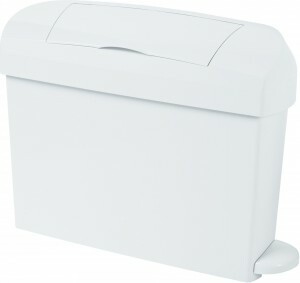 Slimline design to fitall sizes of cubicle. 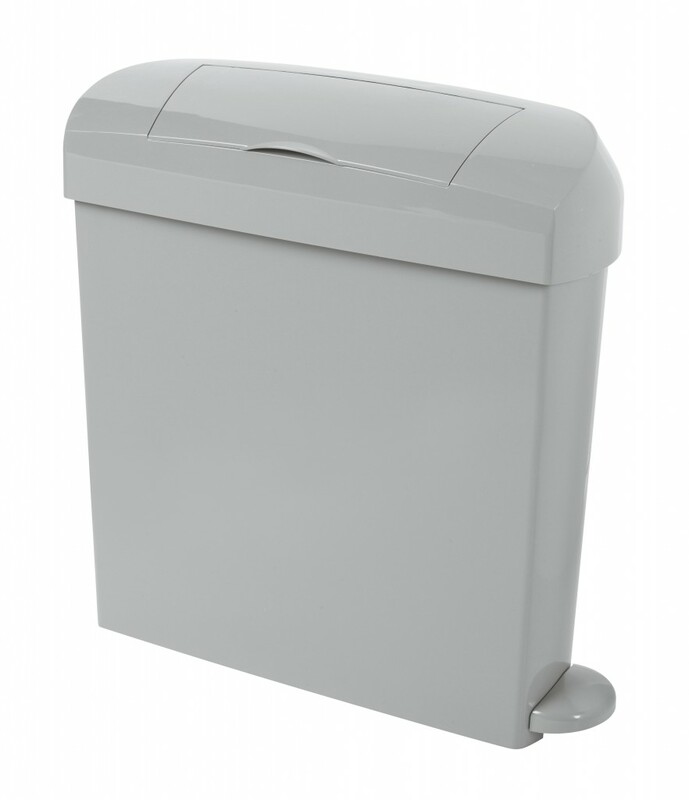 Ribbed modesty tray ensures discreet disposal. From 1996 the new Workplace Regulations came into full effect. These state: “in the case of W.Cs used by women, suitable means should be provided for the disposal of sanitary dressings”. This applies to all commercial washrooms. 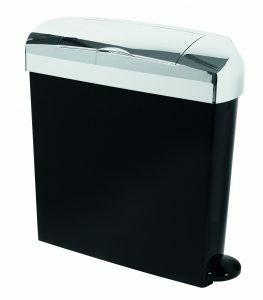 Automatic or foot pedal operation in White or Black and Chrome.